Insider Tips for Rose Bowl Flea Market Pasadena, California 4.3333333333333 out of 5 based on 12 ratings. 12 user reviews. 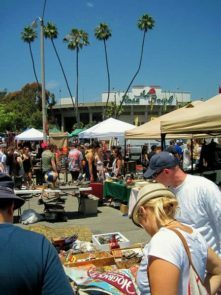 The Rose Bowl Flea Market in Pasadena, California, is without doubt among the most famous flea markets in the US – and not only because many celebrities are regulars at this Californian flea market. 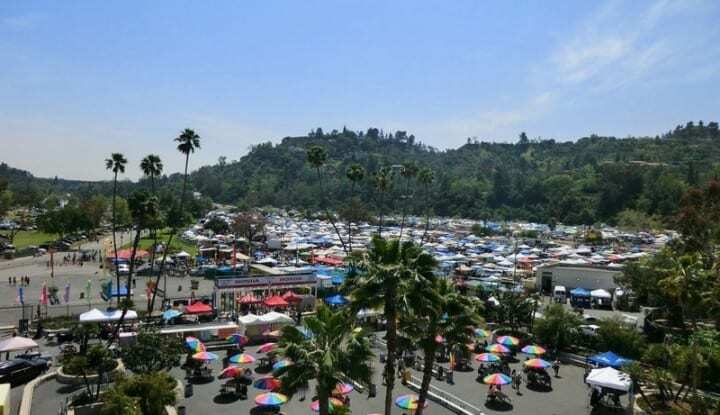 For over 45 years, this flea market has been taking place at the Rose Bowl stadium, which was also home to the 1932/1984 Summer Olympics and the 1994 FIFA World Cup. 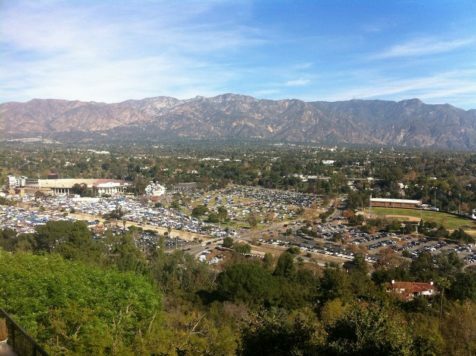 On the second Sunday every month, the Rose Bowl stadium grounds host one of the best flea markets in the United States: The Rose Bowl Flea Market. 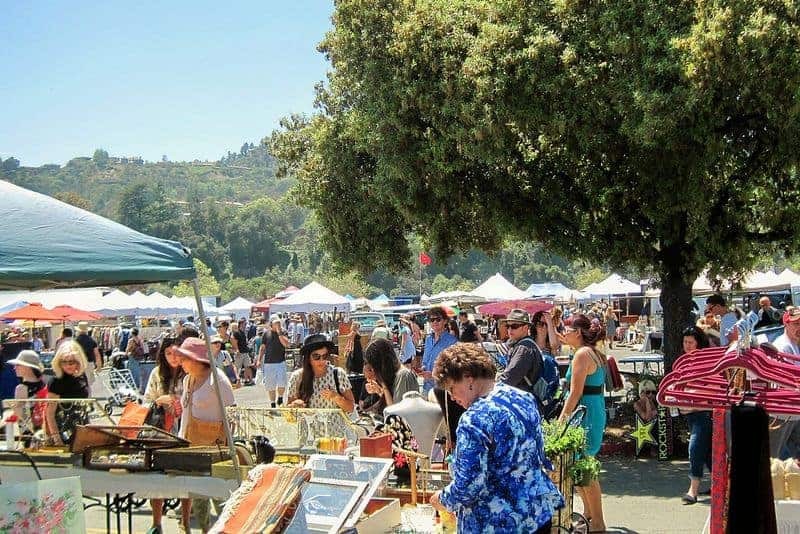 We have compiled the best tips for our ultimate guide to the Rose Bowl Flea Market, so you can make the most of vintage shopping at the Rose Bowl flea market. The Rose Bowl Flea Market is a true legend among flea market enthusiasts in California: Trendy Californians, from Los Angeles and beyond, flock to the Rose Bowl stadium in Pasadena to shop the latest trends and enjoy the unique atmosphere of this colorful vintage market. 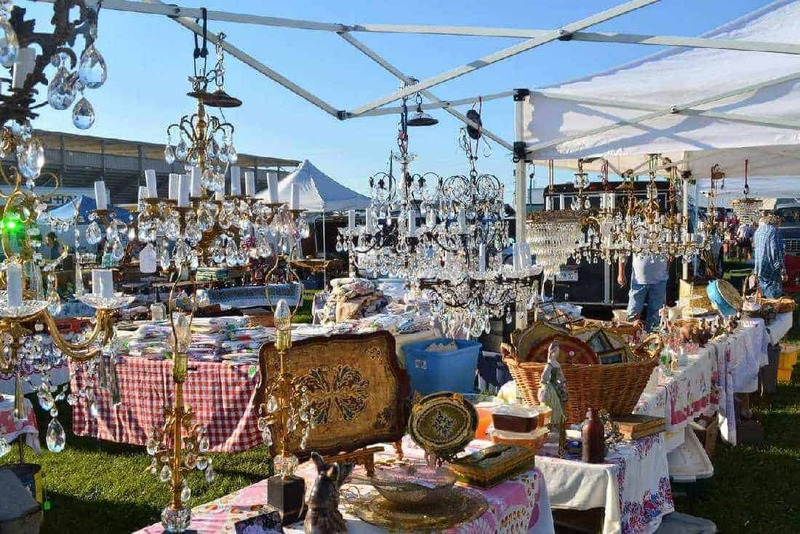 More than 20,000 flea market enthusiasts and over 2,500 merchants gather each month for the Rose Bowl Flea Market at the Rose Bowl Stadium in Pasadena. On market days, the area around the stadium transforms into one huge swap meet, which rightfully claims to be the largest flea market on the West Coast and one of the best flea markets in Los Angeles. Indeed, the Rose Bowl Flea Market is filled with anything and everything the heart of a flea market enthusiast could ever desire or dare to dream of. 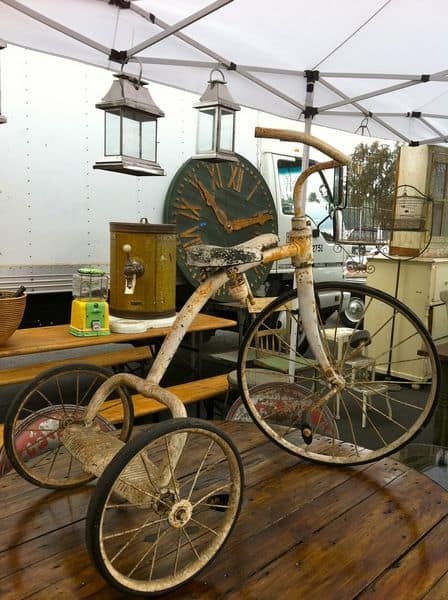 There is little you won’t find at the Rose Bowl Flea Market, whether it is new, antique, or just secondhand. The vendors at the Rose Bowl flea market sell antiques and collectibles, vintage clothes & jewelry, shoes, vintage furniture, arts & crafts, ceramics and glassware, fabric, vintage photography, prints and paintings, bikes, costumes, music, and every imaginable type of merchandise are all to be found in one place. 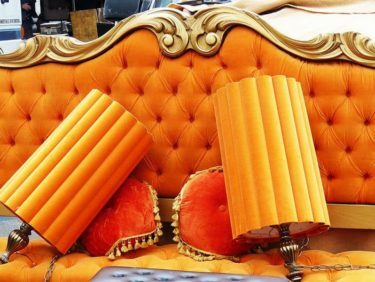 So whether you’re looking to (re)furnish your home, landscape your garden, cook dinner, update your wardrobe or even start an art collection, the Rose Bowl Flea Market has a little bit of everything for everyone. 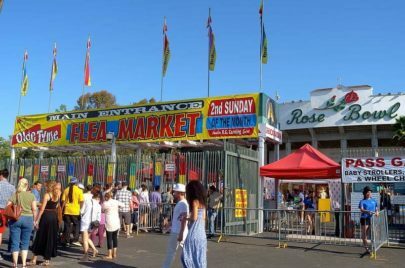 No matter whether you just go to get an authentic idea of life in L.A., or whether you are looking for something specific – the Rose Bowl Flea Market is a great place to go and check out. 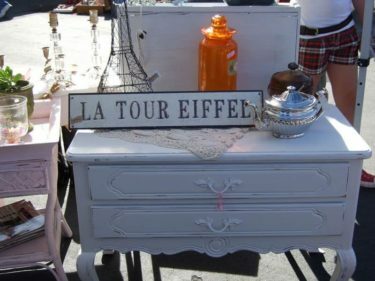 After all, since the Rose Bowl Flea Market is really full of surprises, you never know what you might take home with you. #1 The early bird gets the worm! Arriving early at the Rose Bowl Flea Market (before 9:00 am when regular admission starts) will allow you to scope the vendors without the crazy number of people creating bottlenecks throughout the grounds. However, keep in mind that many vendors might still be unpacking their stuff by the time you get there, so the choice of merchandise may be a little reduced. There are finds to be made at the Rose Bowl Flea Market, but no real bargains. Vendors are more profit driven than in other places, and many of them won’t care packing up again all their stuff at the end of the day if they do not manage to sell it at “the right” price. You will quickly notice that they are really those in the driver’s seat. 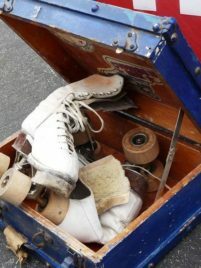 The best deals and unique items are located in the back parts of the Rose Bowl Flea Market. The vintage/collectibles area is towards the left after you get through the main gate. 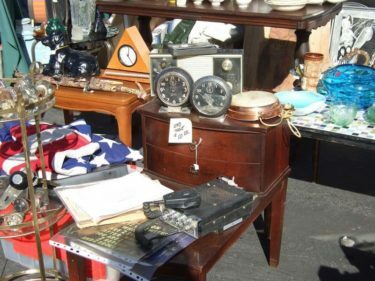 The Rose Bowl Flea Market has a respectable amount of vintage dealers, with quite a bit of furniture ranging from MCM to re-purposed industrial design furniture. 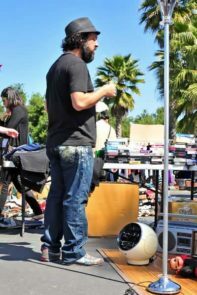 You must focus on what you are really looking for, as it is pretty easy to get overwhelmed when strolling the Rose Bowl Flea Market. Before you even notice it, you may end up walking around in a daze like a zombie. 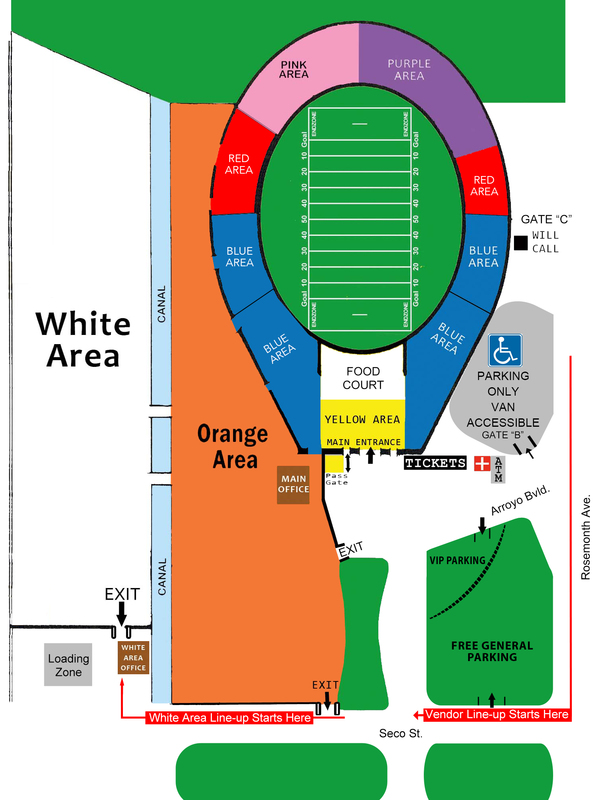 So make a good use of the colour-coded map to navigate your way through the Rose Bowl Flea Market. 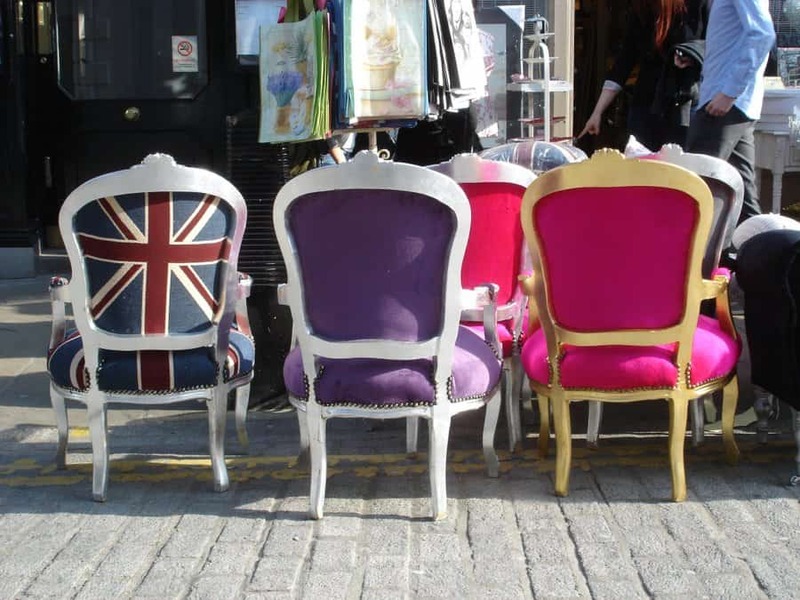 For instance, if you are into antiques and vintage clothing, you should go to the Orange area straight upon arrival. 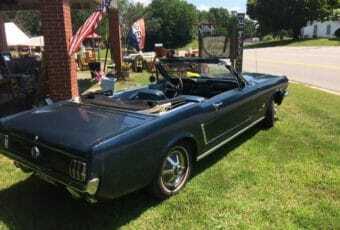 A great day at the flea market often starts with getting a few things right. Like the gear you pack. 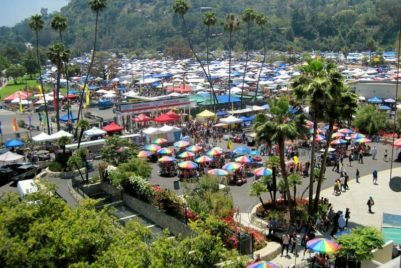 If you are planning to spend the day at the Rose Bowl Flea Market, remember to bring a small bottle of hand sanitizer gel, as your hands will get dirty from all the rummaging through old junk. Also don’t forget to bring a hat, sunglasses and to use some sunscreen, as the Californian sunburns too. Last but not least, wear a comfortable pair of snickers. 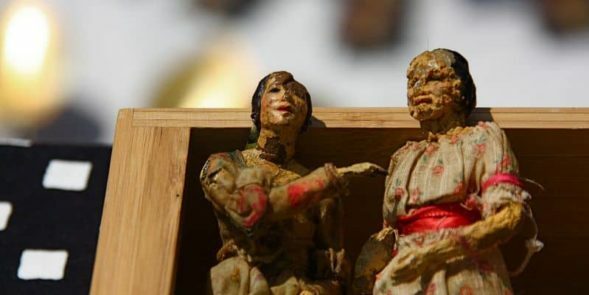 If you find something you like, try and refrain your excitement, show your poker face, and start to haggle a bit, as quite a few dealers at the Rose Bowl Flea Market are willing to do so. 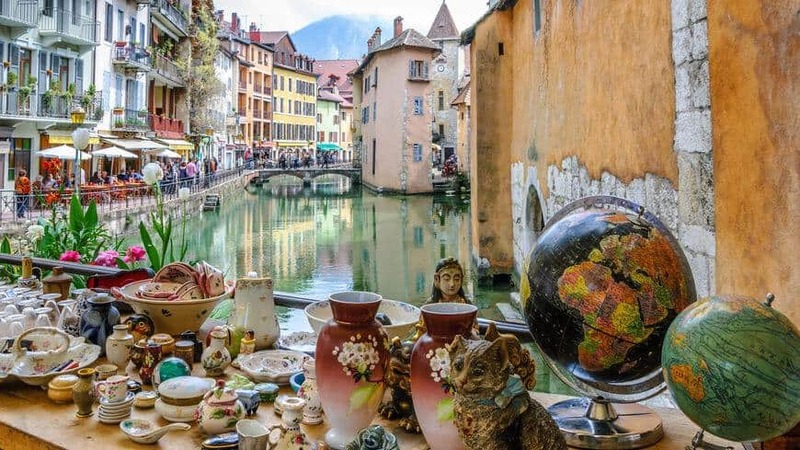 The best time to haggle undoubtedly is when merchants are packing to leave the flea market’s premises (around 4:00 pm), as some might be reluctant to load their truck with unsold items. And the bigger the item, the more willing they may be to haggle! Some ATM machines are available around the Rose Bowl Flea Market, but you won’t be the only one looking for cash there! Also, there is a $5 fee for using cash machines. 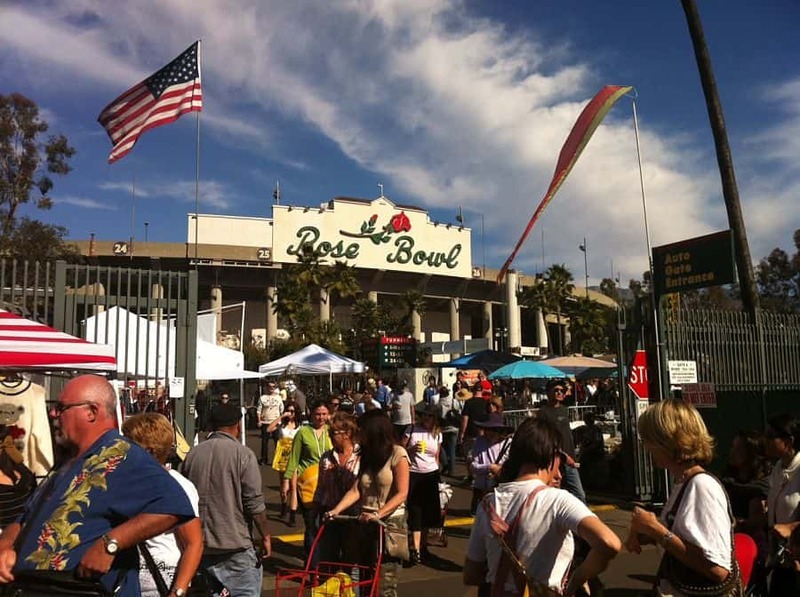 Is the Rose Bowl Flea Market worth going? 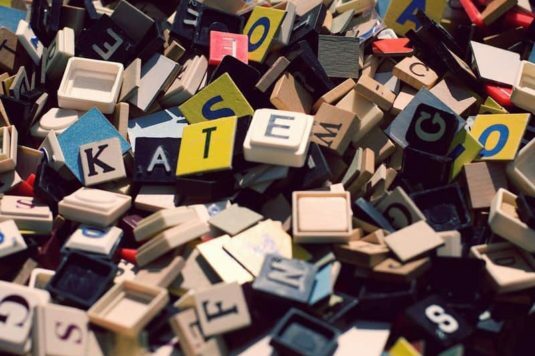 ✓ A plethora of interesting items. ✓ The number & the variety of vendors inside make the $8.00 admission per person worth it. ✓ Great place for cheap clothes and nice furniture. ✘ There are plenty of vintage shops already everywhere in LA. So why bother? I’ve wanted to go to the Rose Bowl Flea since I’ve seen it on Flea Market Flip. I’m putting it on my Wishful Road Trips list! But these are some very helpful hints for the secondhand hunt. Many thanks. 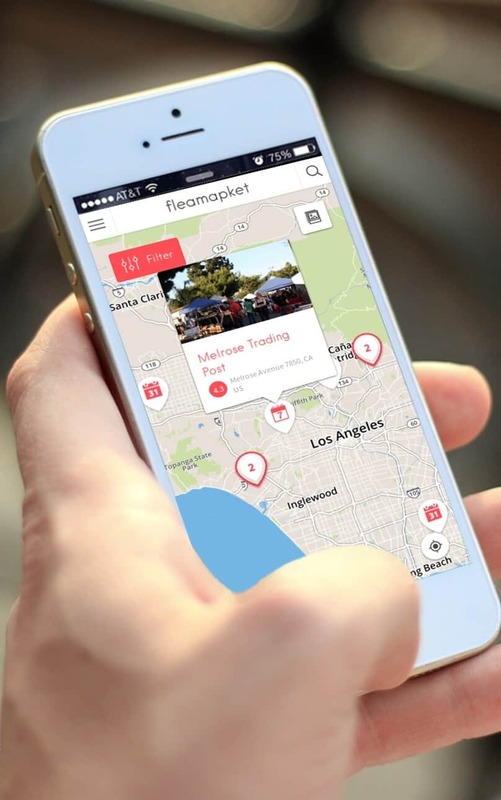 Hi Jackie, we’re glad we could help :) How about your favorite 5 flea markets in the US? 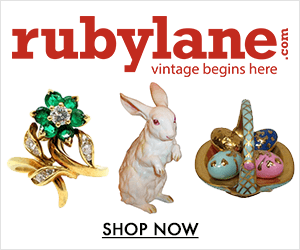 Which ones would you recommend to vintage & antiques enthusiasts?